In my last post, I mentioned that one of the "not true for me" values I absorbed in academia was a distaste for management. I'm long over that now, and am now moving past another false value I absorbed: that marketing is easier and less worthy of respect than technical work. This particular false belief- which I would never have said out loud!- stuck with me well into my post-academic career. Frankly, a lot of scientists and techies in industry also tend to look down on marketing as "easier" than what we do. I can now categorically state that this is utter bunk. Effective marketing is HARD. I am not exaggerating at all when I say that I think the success or failure of my business is going to come down to how well I learn to market my products and services. Sure, I have a lot of other things to learn, and if I don't learn those well, I'll probably fail, too. But those things- how to write apps, how to format more complicated ebooks, even how to create more appealing t-shirt mockups- are well within my comfort zone. They are, primarily, technical problems. I'll research them, and practice and develop the technical skills I need. When I research them, I'll probably be able to find the "right" answers, or something close to them, and if I can't, I'll be able to derive these answers based on other technical information I find. Marketing is a completely different thing. What is the "right" way to market something? Who knows? Similar to management problems, marketing problems are at their root problems of understanding how people behave, and that is an endlessly varying topic. I'm sure I'll eventually find some resources that help guide me, and develop my own methods of experimenting without spending a fortune... but there are no first principles here, not really. It is going to be one endless, high stakes experiment. It is a good thing that tackling touch challenges and learning new things are a couple of my actual career values! So, I'm sending sincere apologies to all of the marketing people I ever thought had an easier job than I did. I was so very, very wrong. I've actually been experimenting with marketing for awhile now, via my Tungsten Hippo site and via marketing Navigating the Path to Industry. I have learned a little, but not as much as I'd like. Mostly, I feel like I've learned that I have a lot more I need to learn. One of the things I've learned is that the absolute best marketing happens when a fan shares his or her enthusiasm for something. I don't necessarily believe in the literal idea of karma, but I love the concept of it, and in that spirit, I want to share three things I've loved recently. by N.K. Jemisin. I finally read it last weekend and... wow, it was wonderful. Beautiful writing, fast-paced and engaging plot, and interesting, believable characters. It also had an ending that I did not see coming and loved. Sometimes, I love a book right up until the ending, and then the author stumbles and leaves me with an unsatisfied feeling. Not this time. 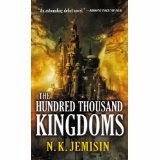 If you're into speculative fiction at all, read this book. If you aren't, consider reading it anyway. It might win you over. The second is a podcast that I'm actually still loving. Longtime readers might remember that I loved the BBC History of the World in 100 Objects podcast. I was a little bereft when I finished it, but I've finally found another podcast I love just as much. The History of English podcast is a fascinating blend of history, archaeology, and linguistics. The organizing principle is telling the history of English, but to do so, Kevin Stroud starts back at the very beginning, with the first language of our language group, Indo-European. He traces the development of all the languages that made their way into English- Greek, Latin, Celtic, French, and Germanic dialects. He also discusses the people who were speaking those languages, and their histories. I am learning so much, and since I will probably not retain anywhere near all this new information, I may revisit this podcast again later. However, there are some tidbits I've picked up that I'm likely to remember. For instance, the idea of an alphabet- i.e., a system of writing based on fundamental phonemes- happened once, and all of our various alphabets have evolved from the first one, which was developed by the ancient Phonecians. Tracing the development of our alphabet has been one of the surprisingly fascinating parts of the podcast- there is an entire episode on the letter C which is just great- so I'll almost certainly buy the companion audiobook, The History of the Alphabet, when I finish this podcast. Another interesting tidbit I just picked up this week: the phrase "to egg him on" is very, very old, dating at least from when the Vikings came to England. Egg at that time had a meaning of to prod or poke, and actually derived from the same word that gave us our modern word "edge." 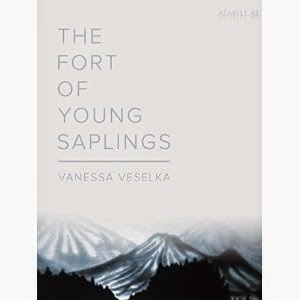 The final thing I want to share is a short ebook, The Fort of Young Saplings. I posted it at Tungsten Hippo a few weeks ago, and it is just wonderful. It is also a great example of the strengths of the short ebook format- it would not support a longer book, but is long enough that I prefer to read on an ereader versus a website. I read it over two or three evenings, and ereaders are better at remembering your place than websites! So if you're wondering why I am so enthusiastic about short ebooks, go over to the Tungsten Hippo post and check it out, and maybe give this book a try. Now it is your turn! Do you have any thing you've loved lately and want to share? Put it in the comments. I don't think Marketing is hard in the same sense as science. However, the success of most if not all businesses usually comes down to good marketing. Without it, you can't succeed. On marketing...you're not alone! It's a hard realization most of us who strike out on our own eventually come to! A lot of it is thinking about your story and why other people might find that story compelling. And yes, it is hard! I wanted to come back and thank you for the History of English podcast recommendation. I love it and am already on episode 6. The podcast that I love to recommend is the New Yorker Fiction podcast. Authors that have published short stories in the NY pick their favorite story from the New Yorker's archives and read it aloud. The reader and the fiction editor from the New Yorker have a short introductory chat and a slightly more in-depth story discussion afterwards. Since you enjoy shorter fiction, this might be up your alley. Two of my favorites are Lauren Groff reading Alice Munro and Junot Diaz reading Edwidge Danticat. Hooray! I'm glad you like the podcast. I'm intrigued by the New Yorker one, but I don't generally do well with fiction in the car. I'm not sure why. I've been meaning to try N.K. Jenison for awhile now and I finally settled on this series. I'm so glad I did. I really loved the characters, right from the start. Her writing style is different, a lot of switching things up, flashbacks, lose ends, etc. But she ties it up extremely well at the end. I look forward to the next book.